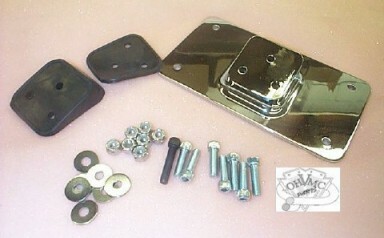 The kit comes with 2 rubber spacers that isolate the license plate mount from vibration. One is thick and one is thin use just one spacer. Chrome plated and comes with all hardware needed for easy installation.